For some, the ultimate pick-me-up after a long and tiring day is a glass of good wine. 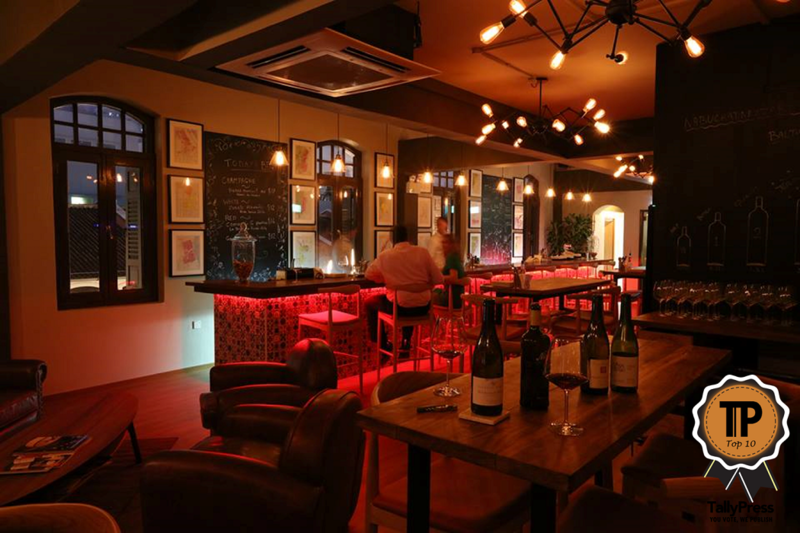 There are many wine bars in Singapore that offer you just that and the added plus of a gorgeous ambiance. Without further ado, here are the Top 10 Wine Bars in Singapore. Wine lovers, do yourselves a favour and make your way to La Terre. What awaits you is a striking menu of wines from places like France, Portugal, Italy and even unique regions like Lebanon and Greece. It’s truly for those who favour classics above all, and you are encouraged to pore over the extensive menu before making a choice. With over 500 wines, you’ll definitely need some time to pick. Tang Wine Bar dishes up yummy bar food for you to enjoy with your wine, and you’ll find an eclectic selection of dishes there. 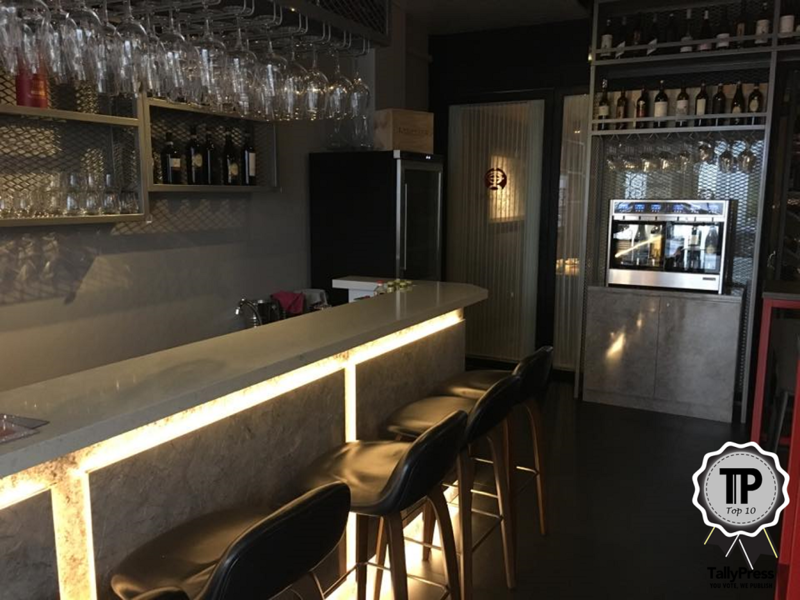 The wine bar is furnished by Botella, a wine distributor that sources wines from all over the world, particularly hidden wineries, to find unique bottles. 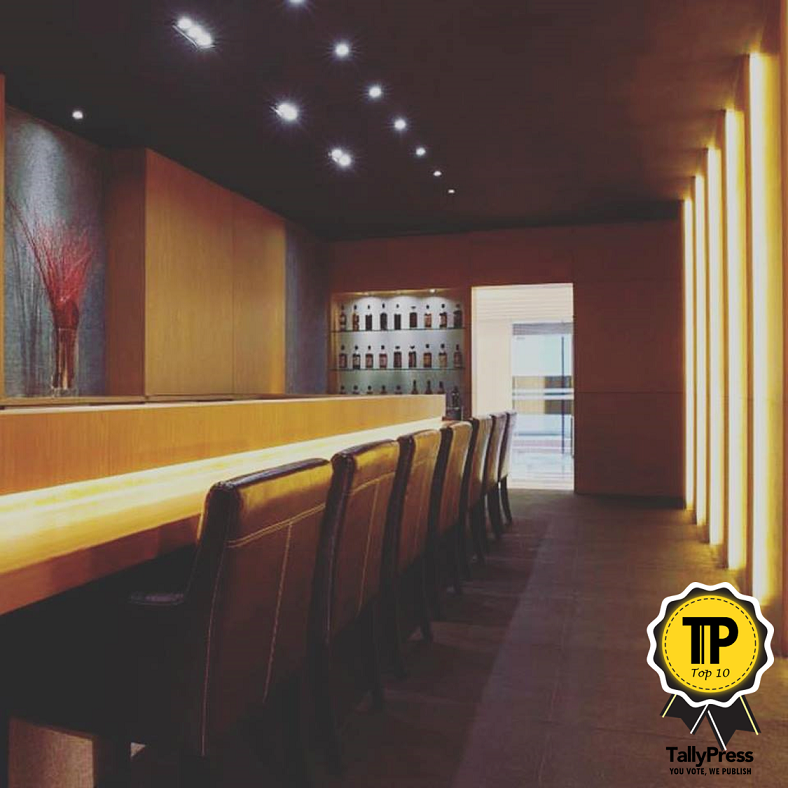 Tang Wine Bar is located at Keong Saik Road. Wine is often enjoyed together with cheese, and at 13% Gastro Wine, you will certainly get the opportunity to consume both. Created by a wine connoisseur (Bruno Vaillant) and an award-winning chef (Geoffrey Weckx), it’s easy to see why the marriage of food and wine is important here. Wines here are selected from their favourite vineyards, and can also be enjoyed with sharing portions of modern European dishes. Caveau Wines & Bar launched in 2012, a joint project by the Les Amis Group and sister company Vinum Fine Wines. 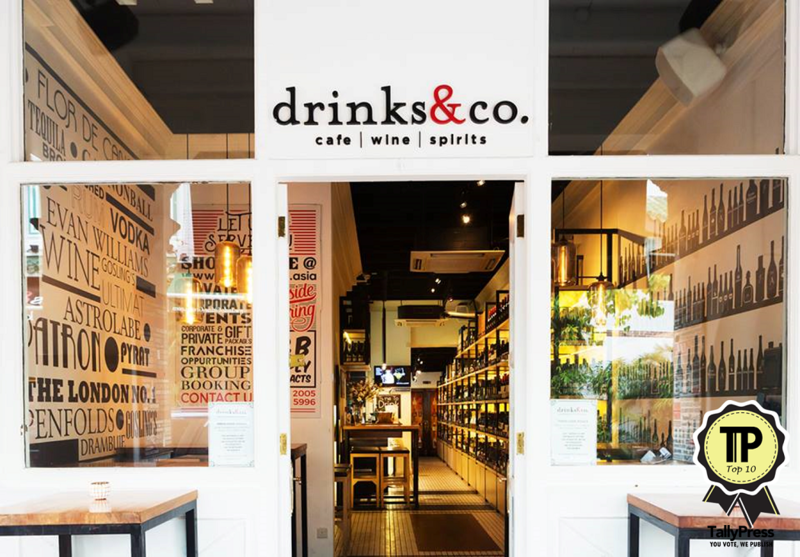 Think of it as Singapore’s first 2-in-1 beverage playground, since you can enjoy either a cup of artisanal coffee or a glass of delicious wine (or both?). Their wine selection is extensive, having been picked by award-winning sommeliers. Wine aficionado Elizabeth Lin opened Praelum in December of 2011, christening it with an appropriate name that means winepress. 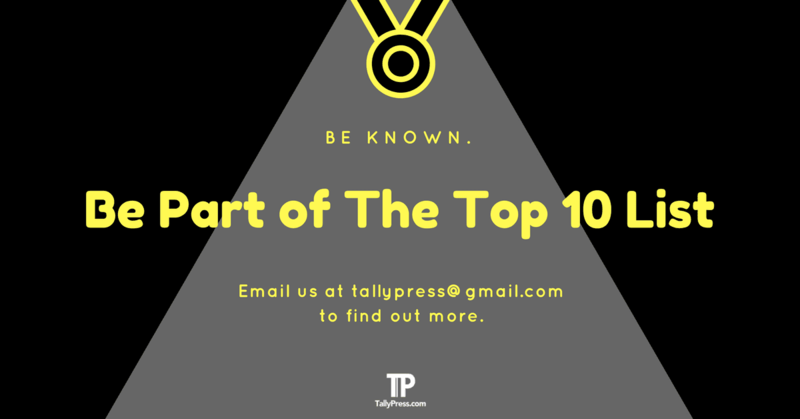 They can be found in a shophouse at Duxton Hill, flanked by other well-known names in the dining industry. In addition to sipping on their wines, be sure to sample their French-inspired European dishes as well. 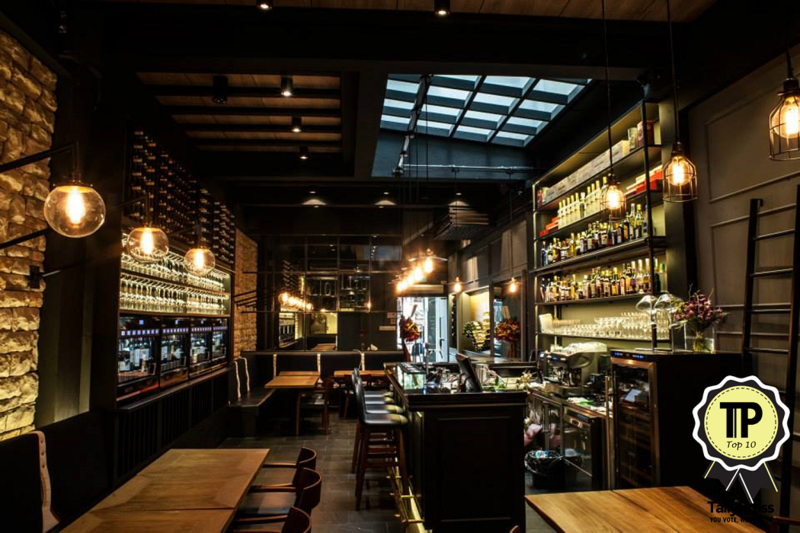 Nestled on Telok Ayer Street is Napoleon Food & Wine Bar, which presents top quality wines minus the pretentiousness. Yes, it’s a fun approach to wines, so it’s perfect for newbies and experts alike. Pair that with dishes from their modern, yet authentically flavoured European style menu, and you’ve got yourself a lovely combination. 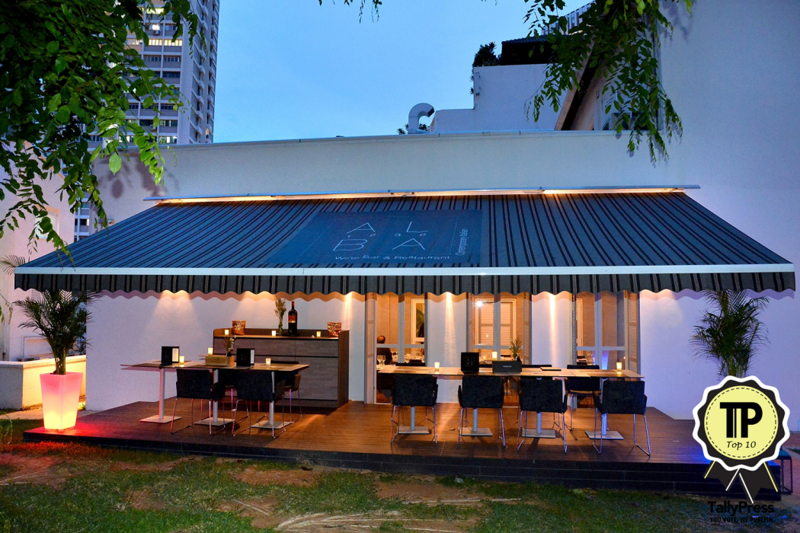 Also located comfortably in Duxton Hill is ALBA 1836. They carry over 350 labels of wine, including Italian wines like Gaja, Clerioc and Dal Forno. They also have Wine Dispensers that carry 30 different wines, perfect for wine tasting and pairing purposes. The food is just as delightful, featuring a menu of Italian delicacies like Veal Ossobuco and even seafood and pork dishes. From 2012 to 2015, Wine BOS has won the award for having the “Most Drinkable Wines”. Here, wines are paired with casual dining, so expect to see everything from nachos to pasta. With wines from Argentina, New Zealand and South Africa, you will be spoilt for choice. Look out for their special throughout the week as well. In addition to red, white and rosé wines, Skyve Wine Bistro also has a selection of champagnes, dessert wines and a fine wine selection from France. 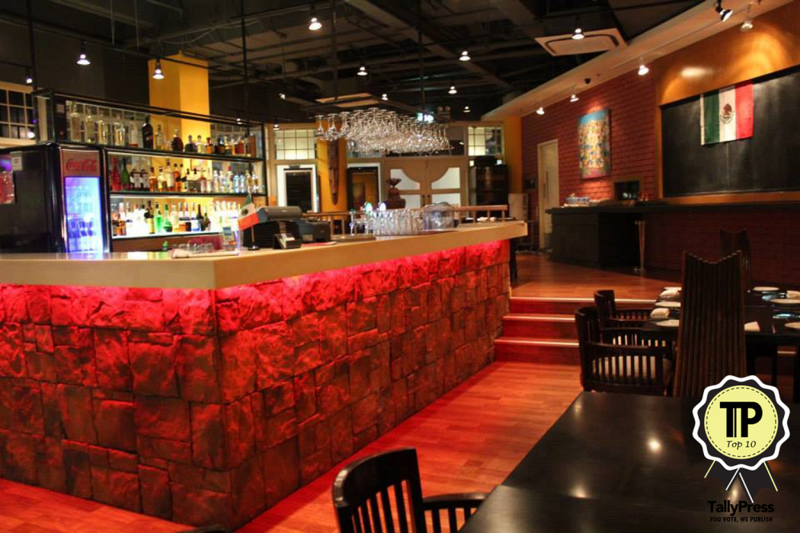 They are situated minutes away from Orchard Road, and are an all-day wine bistro. That means day drinking is not off limits, you could even enjoy some bubbly over brunch. Drinks & Co. is another establishment that believes in good produce above all else, and simplicity otherwise. You’ll get the best wines here, sourced from all over the world from ethical and responsible producers at a fair price. These can be paired with a meal, which will also be made using the finest and freshest ingredients. So eat, drink and be merry at any of Drinks & Co’s three outlets.